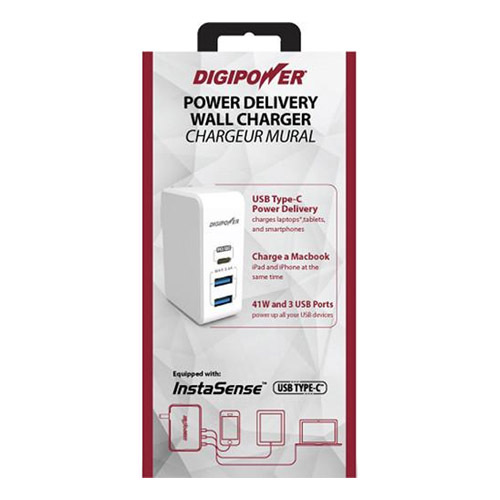 Product Highlights Charge up to 3 Devices at Once 41W of Total Charging Power Supports Quick Charge Supports Power Delivery 1 x USB Type-C for up to 2.4A/29W Output 2 x USB Type-A for up to 1.2A/12W Output USB-C 5V, 9V & 15V Fast Charging Support InstaSense Device Recognition Technology The USB Type-C port supports Quick Charge and USB Power Delivery technology. Power Delivery provides a dedicated 2A/29W of charging power for demanding devices, such as notebook computers. Quick Charge technology provides a fast charge to mobile devices, such as smartphones and tablets, with 3A/5V, 3A/9V, or 2A/14.5V of power. 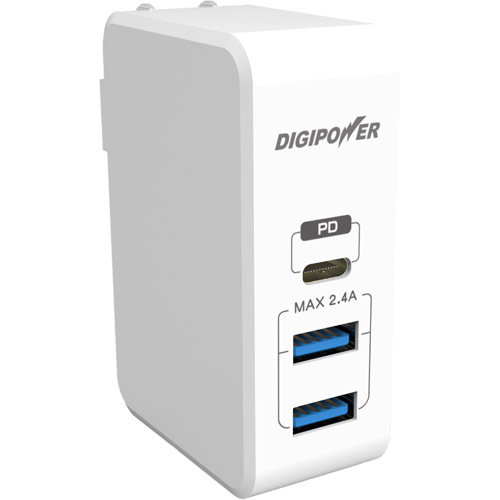 The two USB Type-A ports provide additional charging capabilities with 1.2A/12W of power output per port. InstaSense technology makes sure every device you connect is protected from receiving too much power while charging. It knows the maximum amount of power a given device can handle, and only provides up to that amount.